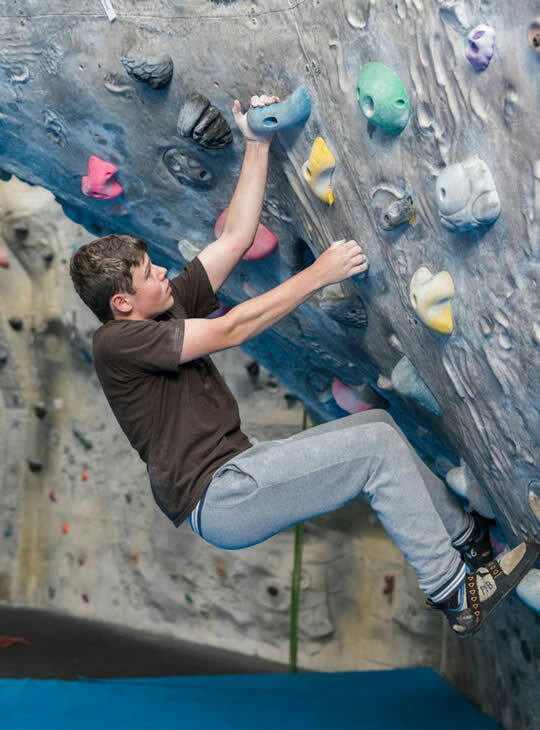 This one week course is for young people (aged 12-17 years) who want to try the exciting and adventurous sport of rock-climbing. We'll take you from being a complete beginner to a rock climber who understands how to climb safely. During the week you'll have chance to build your experience on lots of different climbing sites - from smaller roadside crags, to high mountain crags, and even sea-cliff climbing. Our friendly, enthusiastic, highly qualified instructors will help you understand how to enjoy your new sport safely. 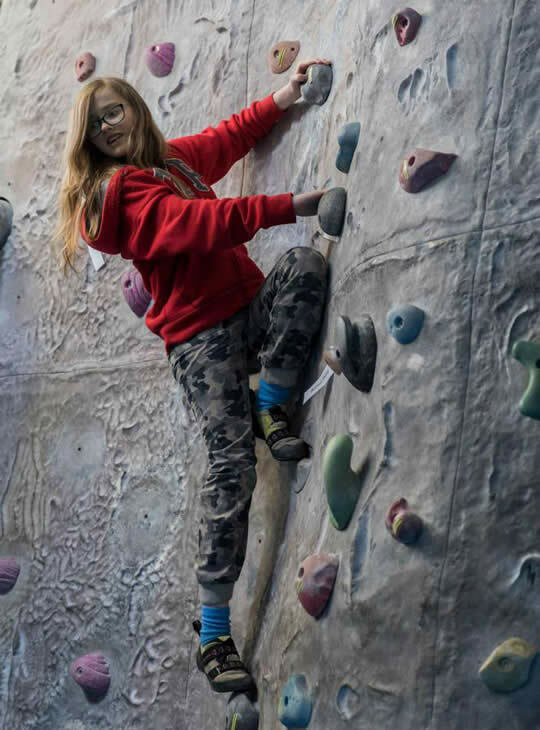 We may also try a number of climbing related activities, like sea level traversing, gorge walking or scrambling to improve your climbing, help you to use ropes better, and show you what other things are possible using rock and rope. - You'll learn a new adventurous sport, make new friends and have fun! 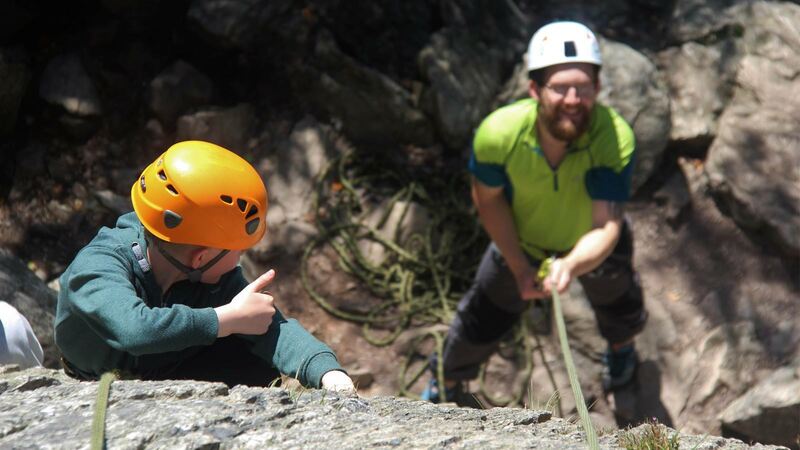 - You’ll take on new challenges in a supportive environment under the guidance of Plas y Brenin’s friendly and highly experienced instructors. - You’ll try many different types of climbing, building confidence and making friends as you go. You should be 12-17 years old to attend this course. You don't need any previous experience of climbing - just enthusiasm to do lots of climbing. Outdoor wear which is comfortable to climb in - prepare for any weather! T-shirt, thermal layer/base layer, fleece top, tracksuit bottoms or tights (shorts can be nice in summer), trainers, warm hat, gloves, sun hat, waterproof jacket and trouser. Drinks bottle, flask, lunch bag, sunglasses, high factor sunscreen, midge repellent, notebook and pen, small personal first aid kit. Nut key, any climbing rack/gear you own. The following items are available for you to borrow from our equipment stores so you don't need to rush out to buy them: any climbing gear, rucksack, waterproof jacket and trousers. Climbing ropes are always provided by Plas y Brenin. You don't need any previous experience of climbing - just enthusiasm to do lots of climbing.